I was a backer on the original Kickstarter campaign. Currently it is still “beta” so certain things need to be forgiven. 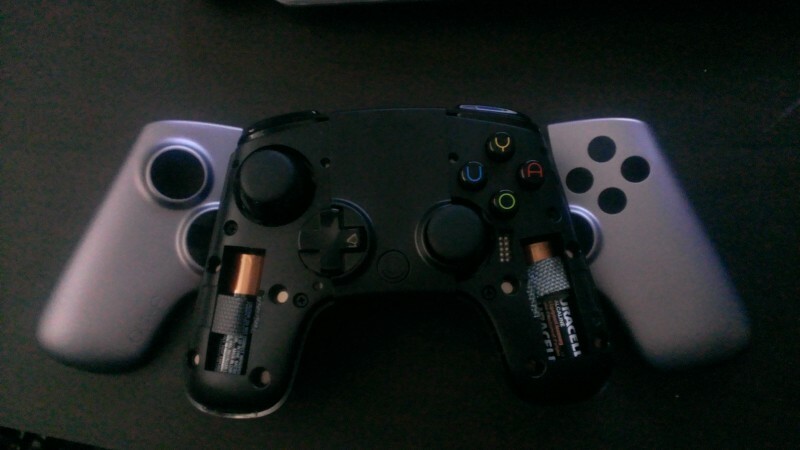 I was completely confused by the controllers batterys, they are “Xbox” shaped offset double sticks, but the batteries are put behind each faceplate, which pops off simply (after you figure it out). I haven’t had an issue with them falling apart unintentionally. Sleek steel design, same size as a Rubik’s Cube! USB 2.0, Ethernet, power, and HDMI in the back of the console. Bluetooth and Wifi as well. This means if you already have a Bluetooth keyboard (for sure) or controller (I think) you can use that! 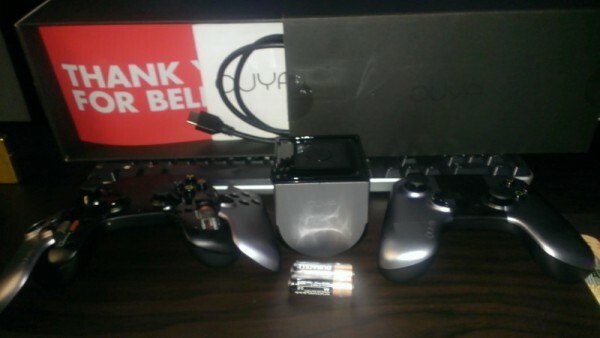 I currently see the Ouya branded controller being $50 and WOULD NOT buy it for that price. I don’t believe it has rumble. 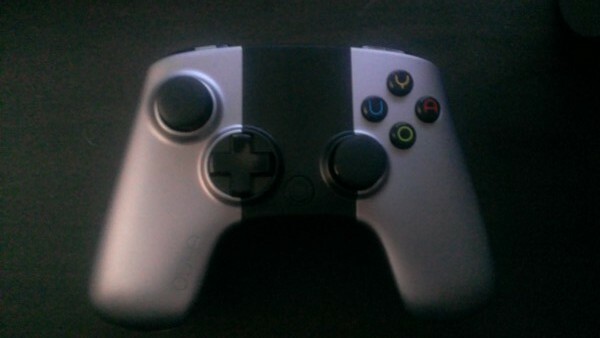 I also believe you can use the USB port to plug in another controller to use it. I can’t promise that, will test. The Twitch support was lacking. I couldn’t search for particular streamers, they say there are 50 live feeds on a channel but will only show 7 of them, I don’t really understand it. Hopefully improvements are made at launch. I did like that I could just pop it on and use it as an ESports TV! Bonus unboxing video, apologies for the audio quality.